In the world of fusion physics, two letters say it all: ‘L’ and ‘H’. 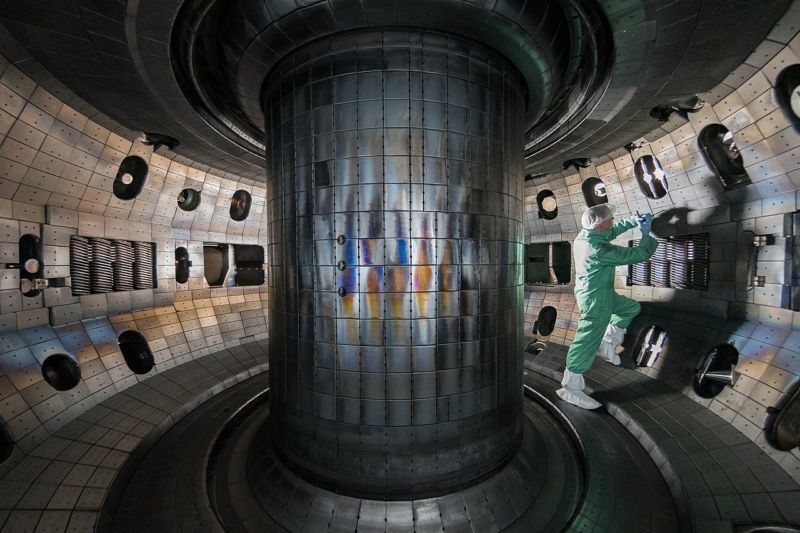 All the cool kids play with the H-mode, which is hot and fiery and is our best prospect for achieving useable fusion energy. The L-mode, which is neither hot nor fiery, has been largely abandoned. But by changing the shape of the L-mode, researchers have been able to get unexpectedly high pressures. High enough for fusion? Maybe. To understand what all that means, we need a quick refresher on what a tokamak is. We’ve covered fusion physics before, but in short, a tokamak reactor uses a series of twisted magnetic fields to confine a fluid of charged particles (called a plasma) in a donut shape. The temperature and pressure of the plasma is the key to fusion; once it's hot enough, the positively charged nuclei will collide to fuse, releasing gloriously large amounts of energy.